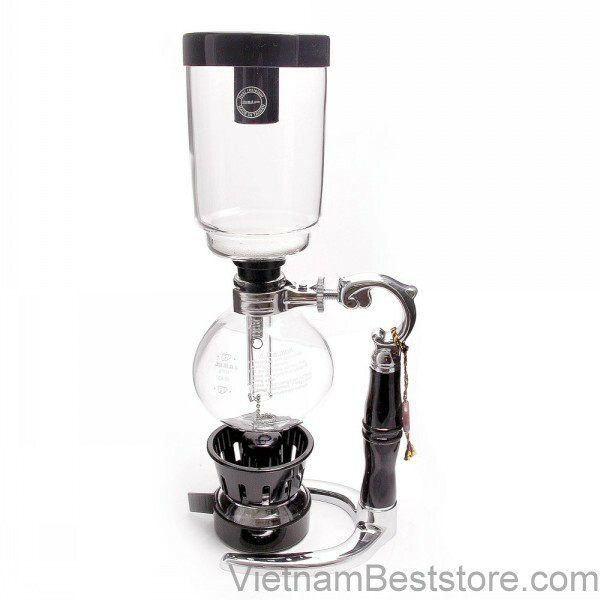 The syphon brewer (aka Vacuum Pot, Vac-Pot, Vac Pot, Coffee Siphon...) is an excellent process for making brewed coffee. These brewers utilize a steep-and-release process that starts first with a full immersion of grounds during the brew-water, then finishes by pulling the finished coffee through a filter in the draw-down phase. Syphon Brewers yield a very clear cup that helps the more subtle notes shine through, which often lost or muted in other brew methods. Copyright © 2013 Vietnambeststore, Inc.